Hardcover, 8.5 x 10 in. / 216 pgs / 118 color / 45 bw. Text by Barbara Basting, Herbert Beck, Anne-Marie Beckmann, Lilian Engelmann, Peter Gorschlüter, Jule Hillgärtner, Holger Kube Ventura, Alexandra Lechner, Celina Lunsford, Luminita Sabau. 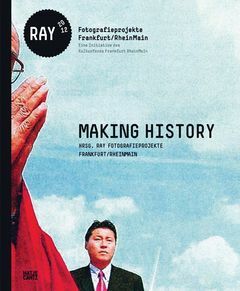 Nine regional institutions in Germany join forces to exhibit works by outstanding international contemporary photographers and video artists from the Rhine-Main region in Making History, which examines the ways that media images stage reality. Featuring works by 38 of the artists from the show, from Harun Farocki and Jeff Wall to Oliviero Toscani. FORMAT: Hbk, 8.5 x 10 in. / 216 pgs / 118 color / 45 b&w.